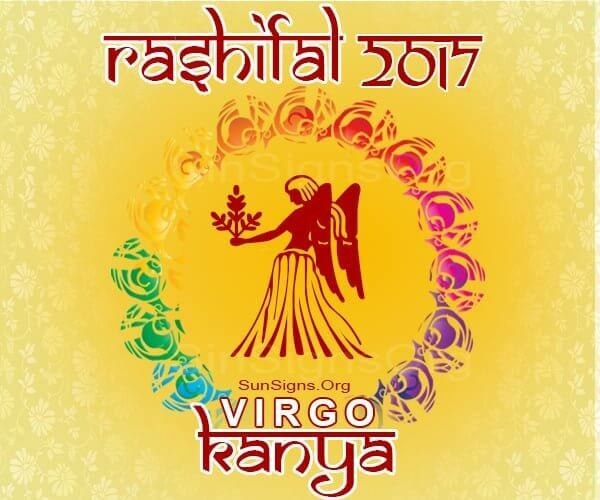 The 2017 Kanya Rashifal astrology predicts a wonderful and auspicious year. People born under Kanya Rasi can expect an excellent 2017 with many new prospects knocking at their doors. If you are able to handle the various challenges on the way, you can accomplish great things this year. Students will do well in their academic career and should start thinking about future career possibilities. The Kanya Rashi 2017 predictions foretell of good luck and prosperity in all aspects of your life. The 2017 Rashiphal predicts that professionally Kanya Rashi people will have a harmonious environment. Many opportunities for career growth will present themselves to you in both your job and business. First half of the year is favorable for career and you must try to achieve your professional goals during that time. Kanya Rashi natives seeking employment will get many opportunities. But they should properly scrutinize the job prospects before accepting them. If you are planning to start a new job, then the Kanya Rashi 2017 predictions suggest you think twice. Monetary situation is fabulous for the Kanya Rasi in 2017. You will be able to complete many financial projects successfully. Expenses should be restricted to improve your financial stability. The 2017 Bhavishya Jyotish horoscope suggests that you take your financial planning a little seriously. The Kanya 2017 Rashiphal forecasts that you will have a tough time in having a peaceful home environment as you are busy with your career and monetary ventures. Your success in life depends on how you manage your family relationships and career pressures. Taking sufficient breaks and going on leisure holidays with family will help. Work is not the only thing in life. Respect and love your family and they will love you back equally. Marriage is on cards for Kanya people in committed relationships during the second half of 2017. Kundli matching with people from Meen Rashi and Kark Rasi will be ideal. Planning of a child too is on the cards. But before that improve your sexual relations with your spouse. Health will be challenging in 2017 for the Kanya Rasi individuals. This is due to stress created in the professional environment. Overall the Kanya Rashifal 2017 foretells of a bright year with excellent career and love opportunities.